Jack is a ten-year-old boy from Wodonga in Victoria who wants to do everything that other kids his age can do. He presents with cerebral palsy, so he needs help with most tasks. His parents wanted to help Jack achieve some independence and autonomy so came to the John MacLean Foundation for help to support this. 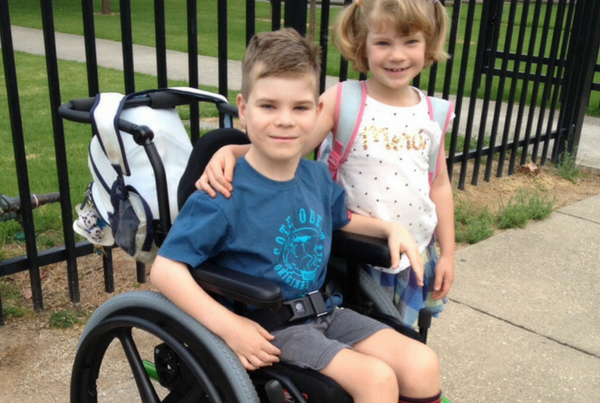 Experienced in the home automation arena, Jack’s father requested funds for the hardware and equipment to help Jack become more independent in his bedroom. Robert Dumsday would be able to design and install a system, and so JMF were asked to fund the equipment at a cost of just under $1500. “In order to give Jack some of the independence he deserves we are seeking some assistance to install devices in his room that enable him to have control of basic functions in his own bedroom, including opening his blinds, controlling the overhead light and reading lamp, and allowing the toilet and bathroom light to turn on automatically when he enters and turn off when he needs it to,” said Robert. Simple sensors will not work for Jack as when he is sitting in bed reading he will be still, and the light will turn off, or if he requires it to turn off he cannot get out of bed switch it off. The device is flexible and can be tailored to Jack’s needs as he grows. A simple remote that can travel with Jack around the house in his wheelchair or walker gives him the flexibility and functionality for not just his own bedroom but potentially the whole house, enabling him to be able to engage in simple living activities either with others or with little assistance. Considerable savings were made as Rob was able to install the implement the technology himself and so JMF felt it only fitting that Jack should be helped with the equipment to make it all work for him.